Pakistan Cargo 4u is your number one online destination to get the cheapest rates on sending cargo to Pakistan. Our exceptional rates and excellent customer alongside timely delivery means you only get the best service. Get in touch with us to get the best rates online. 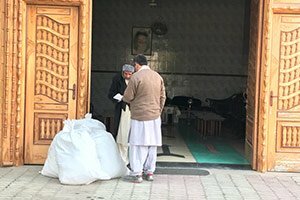 If you want your package to get to Pakistan quicker, then use our exceptional door to door service to send cargo to Pakistan. We pick it up from any given address in UK and deliver it to any door in Pakistan and Azaad Kashmir. We offer the best services and the cheapest rates for your luggage. Using our excellent service you can also send gifts to Pakistan at the cheapest rates online. You can also send them to Mirpur and Azaad Kashmir. Our timely and swift delivery procedure means your gifts to your loved ones will get to them for that special occasion. You can trust us for all your gift sending needs. Send your air cargo from UK to Pakistan at the lowest rates online. Our amazing service ensures that you get your luggage delivered on time. We have links to all the major international airlines which means your luggage or excess baggage will get to Pakistan within no time. Moreover, you can also send air cargo to Azaad Kashmir. If you want to send parcels to Pakistan on time and in a swift manner then Pakistan Cargo 4u is your number one choice. We pride ourselves for being the most efficient cargo service from UK to Pakistan. You can be rest assured that your parcel will get to the desired address on time. Pakistan Cargo 4u aims to provide the best customer experience to its clients and we do that by providing exceptional service with excellent rates. Our 24/7 support means you are always in the loop and there is always someone to help you and answer any questions. We are a customer friendly and orientated team. 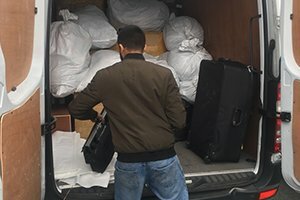 Pakistan Cargo 4u is proud to be the most reliable, flexible and cost effective service to clients across the UK for sending cargo and gifts to Pakistan, Mirpur and Azaad Kashmir. Our freight services can be tailored to meet your needs and requirements. Our air cargo & sea cargo services are the best and the cheapest as well as quick. Pakistan Cargo 4u is the leading company for shipping to Pakistan and Azaad Kashmir. We are an independent Pak cargo company which means our courier services can easily be customized according to your needs. 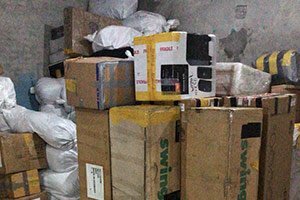 Pakistan Cargo 4u can help in your shipping of goods even if you are sending it for the first time or you send luggage regularly. Our innovative operational techniques make it possible for us to give our customers the best shipping procedure and gain immediate success. Our efficient and customer oriented service means we are committed to customer satisfaction with each service. We have global experience and industry knowledge of air and sea cargo which enables us to deliver unbeatable services. Our friendly sales team are dedicated to helping you discover the most cost-effective and practical shipping solution for your international baggage. We have customer satisfaction as our number one priority hence we work alongside you and make sure your cargo gets to Pakistan on time. Pakistan Cargo 4u is your number one destination to send cargo, excess baggage and gifts to all over Pakistan as well as Azaad Kashmir. To transport goods in containers or small sized parcels there are two major routes that senders can choose. Either sea shipping or air cargo to Pakistan from UK. The cheapest rates are offered to clients; and for that sources are brought in use very sensibly. To send gifts and parcels, pick up from home in UK and delivery at doorstep is offered without any extra charges. But documents need to be prepared and handed provided by the client for in time dispatch. The fastest channel is sending by air cargo but rates could be higher than the other means used for the same purpose. Online shipping quote facility is another advantage, all you need to do is fill in the form above and you can get the quote for your shipment. How Long Does It Take by Air Cargo? The biggest advantage of sending your stuff by air is that it only takes 7-10 working days. So if you need your cargo to be delivered fast, air cargo is the best option. What is the Air Cargo Price to Pakistan? Our air cargo to Pakistan rates are the cheapest in the UK. Depending on the weight, our rates start from £3.49 /KG. Sea cargo to Pakistan is the most commonly used service for shipping to Pakistan. Thanks to the cheapest costs and ability to ship any odd-shaped items from furniture to machinery. The most commonly used sea cargo ensures lowest possible rates and safety is assured by the handlers. Without any hidden cost parcels can be sent door to door from anywhere in UK to anywhere in Pakistan. You can get regular updates of your shipment from our customer services department in office hours. 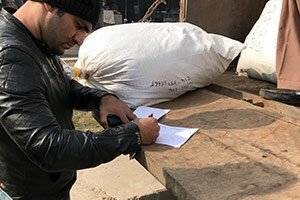 How long does it take for a parcel to reach Pakistan by sea? Parcels through sea routes reach in 5-6 weeks but at a rate that is quite incredible for a faraway destination like Pakistan. Sometimes there is limit of minimum weight to book a cargo shipment and all commercial parcels easily qualify to that standard. Delivery throughput Pakistan is available for our customers’ satisfaction. What is Sea Cargo Cost from UK to Pakistan? Sea cargo charges vary according to items booked and the total weight. However, the cheapest sea cargo price from Pakistan is 0.99p/kg or as some would say £1/Kg. Bags and boxes are collected by the team are sealed in front of the senders. They also have weighing scale so that accurate weight and charges can be calculated. We offer the best freight forwarding service for our business customers. We have all the options for commercial shipment including air freight and all types of sea freight services from UK to all ports of Pakistan, e.g. LCL, FCL or RORO. Like any modern freight forwarding agency, Pakistan Cargo 4u keeps innovating and adding modern technology in order to remain the best in the lot. Our ultimate goal of any endeavor is to make it best for our clients. Providing the feel of care to customers is necessary and our staff is fully trained to interact in a decent manner. Forecasted increase in trade between Britain and Pakistan will definitely increase goods transport and because of growing middle class more foreign products will be welcomed in the country. Pakistan Cargo 4u is your number one destination to send commercial shipments of all sizes and shapes from UK to Pakistan at the cheapest online prices.